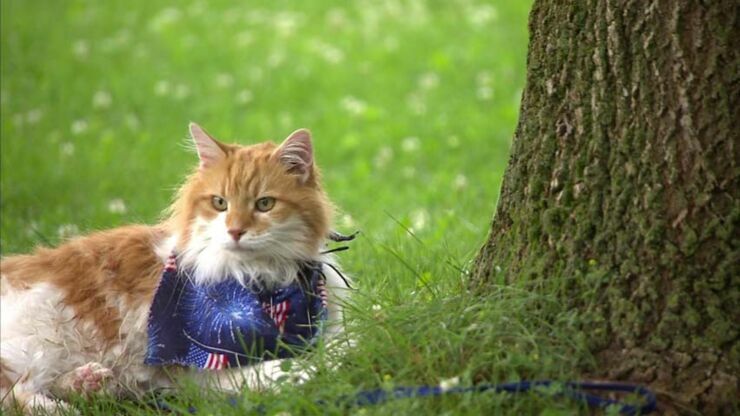 If there's one thing that defines cats, it's their independence. 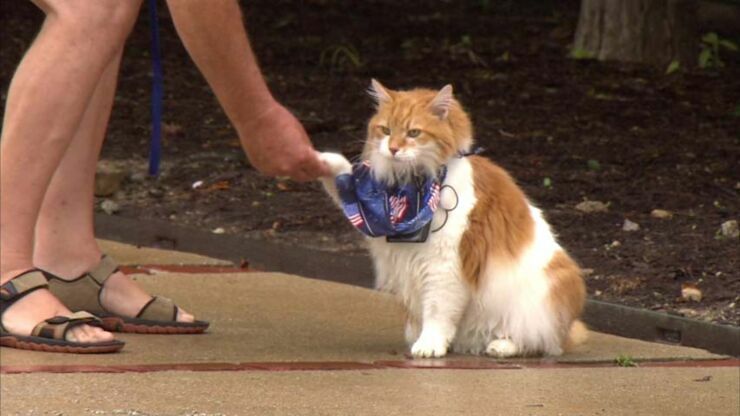 But not Marley the cat from Westfield, Indiana. 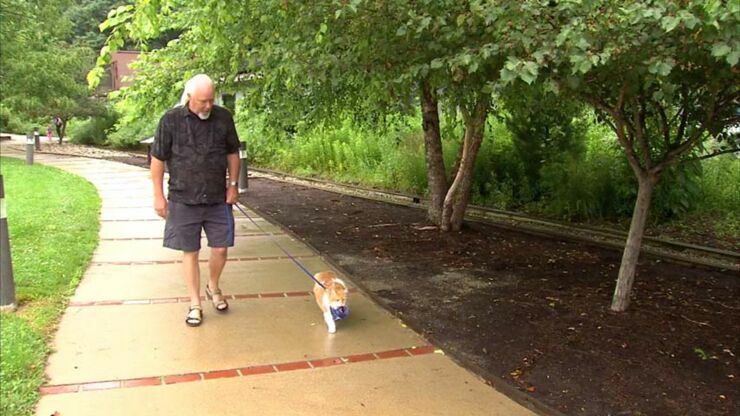 Marley loves nothing more than going for walks with its owner ON A LEASH. It's like a complete no-no in cat world, but this cat doesn't care what his peers think. Not only does he likes walks on a leash, just like a dog, but he also does tricks. 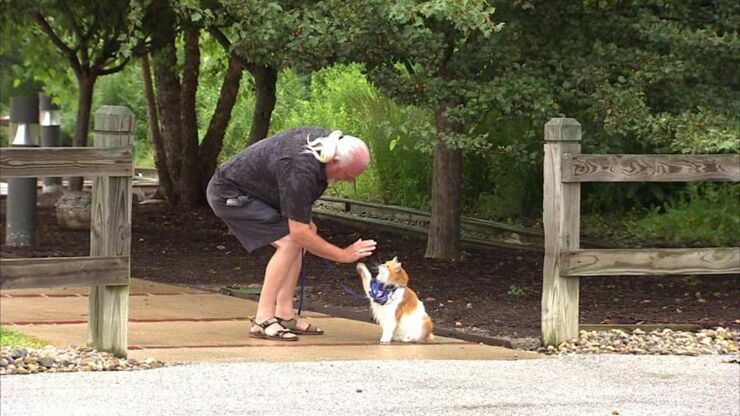 He sits on command (and for treats), shakes paws, and gives high fives. 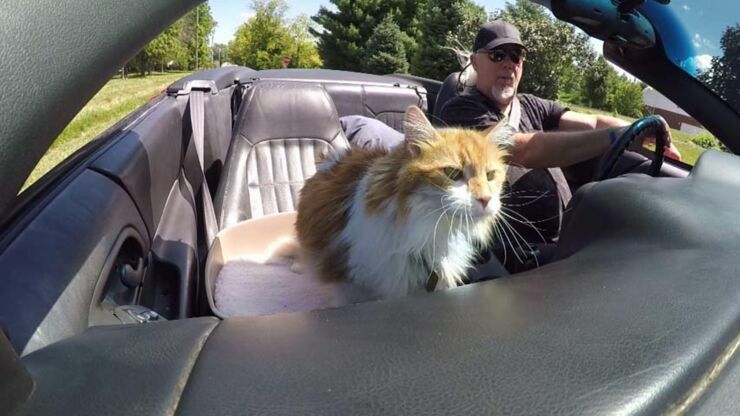 He also sits in the front seat of his owner's convertible loving the wind in his fur, just like a mutt. "Yes, he is a puppy cat. Half dog, half cat. He's the best dog we have ever had." says owner Stephen Miller. "He likes roundabouts. 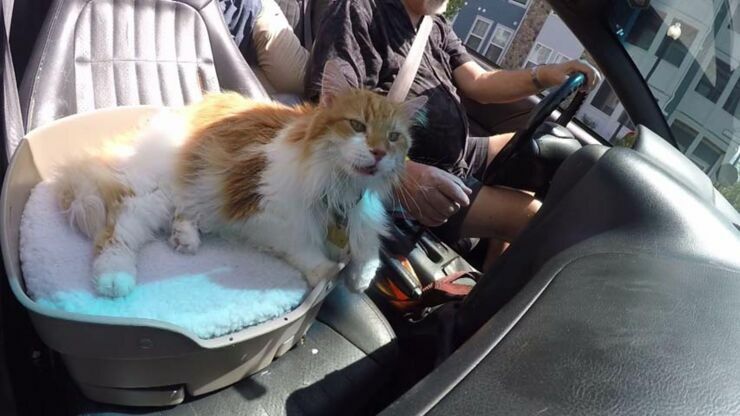 All I have to do is tell him there is a roundabout coming and he puts his feet on the dashboard as you turn in into it and then he leans and I say, ‘We are going the other way,’ and he turns the other way. Pretty amazing." 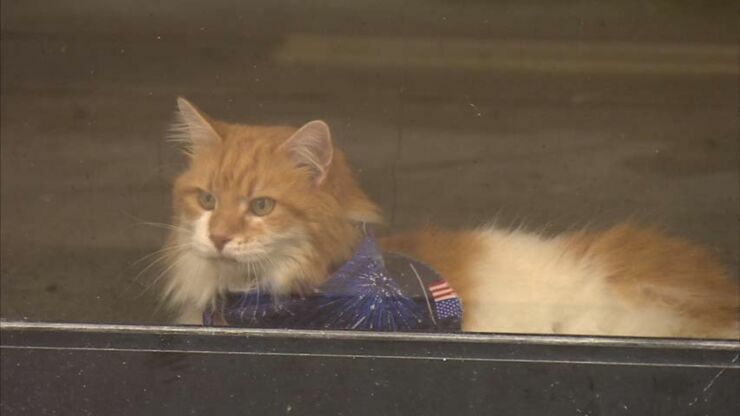 The 14-year-old tomcat has always acted more like a dog, and he's also something of a local celeb due to the unusual sight of him out on a lead. 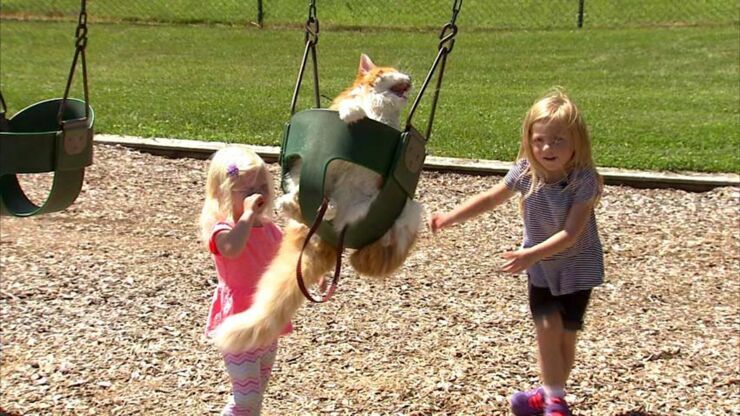 Oh yeah, he also likes being swung on the swings by the local kids too. No news yet on whether he can bark though.